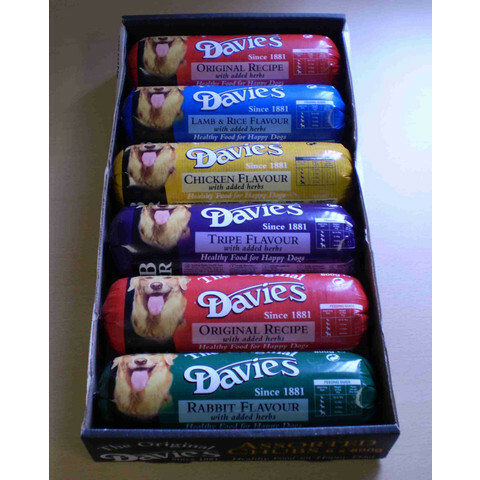 Davies Chubs offer dog owners a top quality meaty food, which because it uses less packaging, offers the consumer significantly better value for money than canned foods. They are available in a variety of flavours all of which are wheat gluten free. Meat and animal derivatives, Derivatives of vegetable origin, Minerals, Herbs (min 0.1% Basil). With antioxidants, preservatives, flavour, colour.